How and when was there a Roman Catholic Church? Once you know the story of the church, the rise of Roman Catholicism is easy to understand. This is a VERY short version of a one-hour video I put on Youtube. The map will make a nice reference for some of you. If you click on it, it will open a new tab or window. If you click on it again (in the new window), it will enlarge. Most of the apostolic churches that we know anything about were founded in the eastern half of the Roman empire. The green sections on that map—Asia, Macedonia, Achaia, Cilicia, and Syria—contain Corinth, Ephesus, Philippi, Colossae, and Thessalonica. You can see the Galatian churches are right next to Asia. Even the additional churches which received letters from Jesus in the Book of Revelation (chs. 2-3) are all found in or around that green area marked Asia. The lone exception mentioned in the apostles’ writings is Rome. It sits far to the west of all the others. Later Christian writings discuss churches in Edessa, Syria (founded by Thaddeus, one of the 70, not the apostle), in Alexandria, Egypt (founded by Mark), and in Carthage (modern Tunis, Tunisia). Therefore, when some dispute arose among churches, they were quick to seek out churches founded by an apostle, in case the apostle had left some instruction on the matter under dispute. Although the pattern in Scripture is leadership by a group of elders, by the mid-second century all churches had one elder who was the bishop (lit. overseer or supervisor). Because of the importance of the apostolic churches, the bishops of those churches became very respected and sought out. Unfortunately, except Antioch, which managed to maintain its importance as an apostolic church, the churches that really grew in importance were the ones in big or in imperial cities. Thus, both the bishop of Rome and the bishop of Alexandria exercised wide influence throughout the third century, Rome in the west and Alexandria in the east. By the fourth century, the Council of Nicea would affirm the authority of the Alexandrian and Roman bishops over their surrounding areas (Canon 6). “Antioch and the other provinces” are said to “retain their privileges,” which implies that the bishops of Antioch and other major churches had authority to become bishop of whole provinces. A few years later Constantinople was built, and its bishop was added to the most important bishops. By this time, in the fourth century, the authority and the breadth of the rule of a bishop was at least as tied to the imperial authority of the city as it was to the founding of the church in that city by an apostle. So how did Rome’s authority eventually expand to the whole world? Well, the truth is, it never has. The east has never recognized the authority of the Roman bishop (the Pope). In the west, however, it was simply inevitable. Surprisingly enough, the rise of the Roman Catholic church depended on the fall of Rome. In the 5th century, the city of Rome fell to Barbarian invaders. The last emperor to reign from Rome was deposed in 476. The Roman empire did not fall, only the western half fell. Basically, if you look at the map again, everything in green and east remained under the rule of the emperor in Constantinople until the 15th century, when the Turks finally toppled the Roman empire (though it had ceased to be “Roman” a millennium before). A look at the map will reveal that the only church known to be formed by the apostles in the western half of the Roman empire was Rome. No more competition from Constantinople, Antioch, or Alexandria. The bishop of Rome, though he maintained relationship with the emperor and the bishops in the east, was the highest, most respected ecclesiastical authority in the Germanic kingdoms. This was how the bishop of Rome became pope. Protestant theologians argue about which bishop of Rome first had papal powers. (Roman Catholic theologians are under obligation to claim that Linus, the first bishop of Rome, had papal powers.) It doesn’t really matter. Once the western half of the empire fell, it was inevitable that the bishop of Rome would be the “go to” person whenever there was controversy. Protestant theologians usually suggest that Pope Gregory the Great, who ruled from AD 590-604, was the first to really have papal powers, so that even kings sought his approval and blessing. Dr. Brendan McGuire, a Catholic historian, has a great series of lectures on the medieval papacy, and he agrees that Pope Gregory was the first to have what the Roman Catholic Church envisions as papal primacy. Gregory’s authority, and that of later popes to this day, was only in the west. 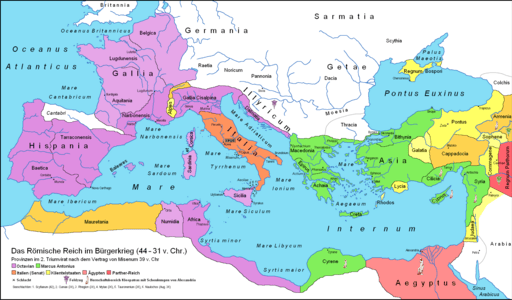 The churches of the eastern and continuing Roman empire were never under the authority of Rome. We have only covered the churches of the Roman empire because we have more of their history. Tradition holds that Thomas went all the way to India to establish churches, and those churches had no influence whatever from any churches of the Roman empire for centuries. I have a friend who is very interested in lesser known histories, like that of the Ethiopian and Indian churches. Great Britain has an unusual history as well. I hope at some point to get to some of those histories, but I can’t promise anything. This entry was posted in Early Christianity, Roman Catholic & Orthodox and tagged early christianity, roman catholicism. Bookmark the permalink. I understand. Separation over church issues, usually others separating from me for telling them what they don’t want to hear, has been a large part of my life. It’s not fun. When did the Roman Catholic Church begin to claim that Peter was the first pope of Rome? How about the claim that Jesus made Peter the head of the church and gave him the keys to the kingdom, etc..? “At least nine or ten Orthodox have told me that the Roman bishop has no authority whatsoever since the split, and he will not until he repents and the Roman Catholic Church rejects the doctrines it has added since the last ecumenical council.” Well, I really pray and hope this will happen, because the claim of authority, and the added doctrines, stands in the way of unity. I’m answering this in a blog, probably for tomorrow morning. Thank you. Three of my family (Mom, sister, and brother) have become Catholic (or returned to it) in the last few years. I was upset when I realized, when one of my family was invited to our Baptist church service for communion, that they couldn’t participate with us. And of course we cannot partake with them at their church. This was very hard for me. you may want to up date your info and check your sources they are a little more together than you think. Thanks FC, for your comment, and that article is interesting and says something good about the motives of the current pope, who already has a lot of good that could be said about him. The previous pope, John Paul II, once recited the Apostles’ Creed without the flioque, which was also a genuine attempt to heal the breach. I’m not ready to update my sources because they constitute every Orthodox priest I have met. I have not met very many, but I know both from Orthodox friends and from a web site I found that there is a large movement with the Orthodox churches that opposes the ecumenical character of some of the Orthodox leadership. I was raised Roman Catholic. If you want a really skewed view of the Catholic Church, read the catechism. The catechism bears little resemblance to real life as a Catholic in my experience. This statement seems to me to be too broad. The East recognizes his authority, but the real question is as to the extent of that power. Oh, it is definitely too broad. I knew that when I wrote it. However, based on emails I receive, the majority of my audience is thinking about the East recognizing his authority as God’s vicar on earth, having complete authority over all Christians everywhere. Eastern churches have never accepted that definition, and they never will. Hopefully your comment and my answer will suffice is a clarification. Actually, I need to refine that comment. Pretty much every Orthodox person I have talked to has told me that the bishop of Rome has been a heretic since the Great Schism. I may be getting the terminology wrong. It may be schismatic rather than heretic or some other word, but the point is the same. At least nine or ten Orthodox have told me that the Roman bishop has no authority whatsoever since the split, and he will not until he repents and the Roman Catholic Church rejects the doctrines it has added since the last ecumenical council.